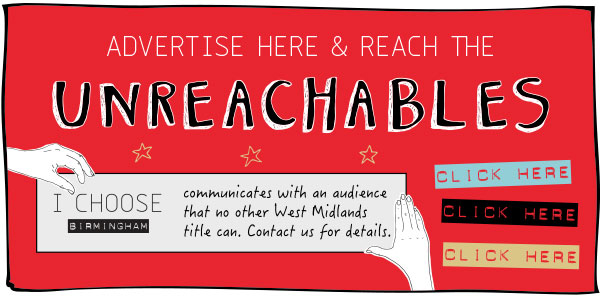 (Issue 78) We don't send spam. We won't give out your email address. Competitive sports. Whether the mere mention of mouthguards and the team bus has you scheming your way toward a sick-note or you continue to maintain a dazzling collection of silverware, this year, Birmingham is teeming with top notch fixtures, all of which require precisely zero athletic ability from you. And we just so happen to have compiled a rather handy round-up of some of the most merry-making events, below. No team sheets required - pinky promise. In a leafy corner of the city, a bevvy of Wimbledon hopefuls will begin their grass court campaigns care of the Aegon Classic. 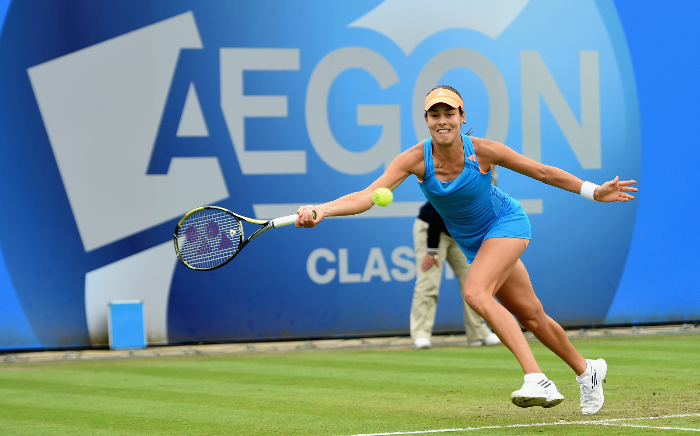 Martina Navratilova, Maria Sharapova and most recently Ana Ivanovic (pictured) have lifted the trophy at the Edgbaston Priory Club's all-female affair, which this year takes place from June 15 to 21. And with the 2014 champion already confirmed, as well as world No. 3, Simona Halep, and two-time Australian Open champ, Victoria Azarenko, your main challenge - other than working out which match to follow - is likely to be choosing between the ice-cream and the strawberries. And there's an obvious answer to that conundrum. Tickets start at £15, rising to £50 for the final. Save £5 by booking before April 29, here, using the code EPC2015. Leave any preconceptions of cricket whites, cucumber sandwiches and test matches longer than party political conferences firmly at the office - T20 Blast is making five Friday night appearances at Edgbaston this summer. And with each team being given only a single twenty over innings in which to make all of its runs, 'sixes', 'ducks' and some mighty aggressive bowling will keep things suitably uptempo at Brum's iconic venue. 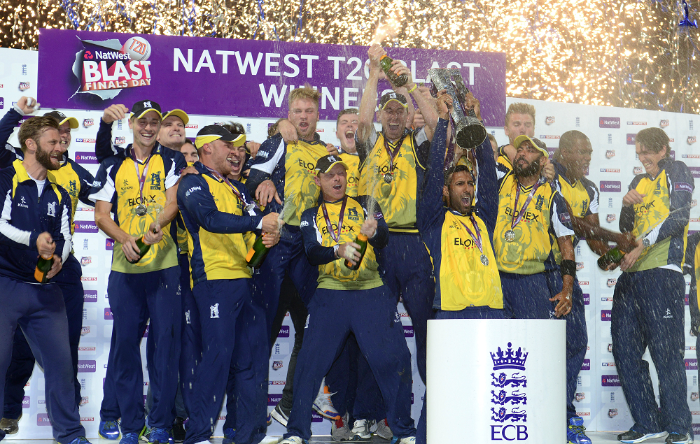 After reigning supreme in 2014 (despite Freddie Flintoff's best efforts) the Birmingham Bears begin the defence of their title with a local derby against the Worcestershire Rapids on May 22. Early bird tickets for the whole series are available at a wallet-friendly £14, here, until April 23. They say you make your own luck in this world. 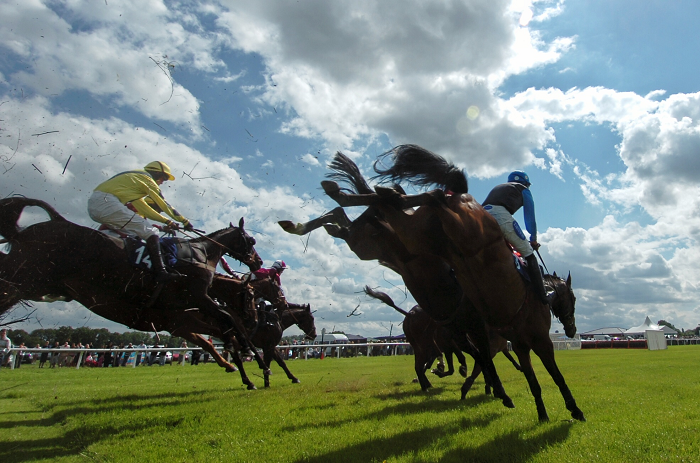 Well, we'll be calling in a whole heap of ours in honour of Ladies Day at Stratford-On-Avon Racecourse, which takes place on Sunday, July 19. And if there's one thing we like more than a day at the nags, it's an excuse to hit up Stratford, en masse, in all our finery. Whether the big draw for you is the seven National Hunt races, the champagne bar, or the title of best hat, you can save 10% on tickets (which cost between £10 and £20) by booking online and even more if you book as part of a large group. We'll be the ones poised elegantly in fuchsia at the top of the podium. Okay, we're unlikely to be either poised or elegant but nod along and make nice if you see us. We can't be the only household to have lost entire weekends to the mesmerising effects of professional darts coverage, right? Well in any event, on April 30, we'll be taking our compulsion to the next level - and - more specifically, to the Barclaycard Arena (yes, the one that used to be the NIA), to watch the season's ten top throwers continue in their quest for a share of £700,000 and the coveted Premier League Dart's title. 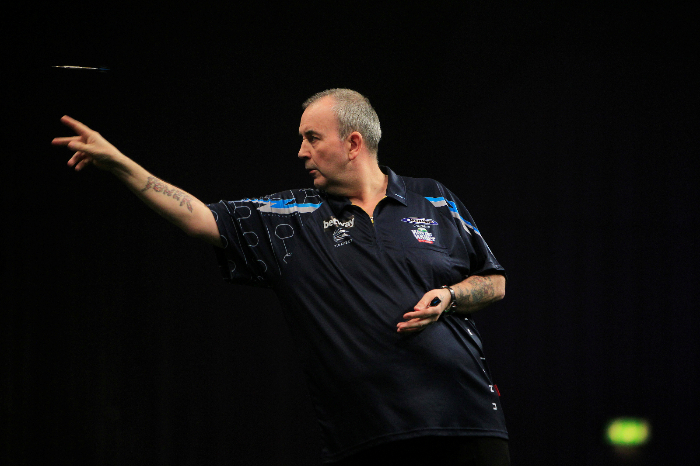 And it just so happens that one of the five featured matches sees current world champion, Michael van Gerwen, take on 16-time world champion, Phil "the Power" Taylor (pictured but let's not pretend you didn't know that already). 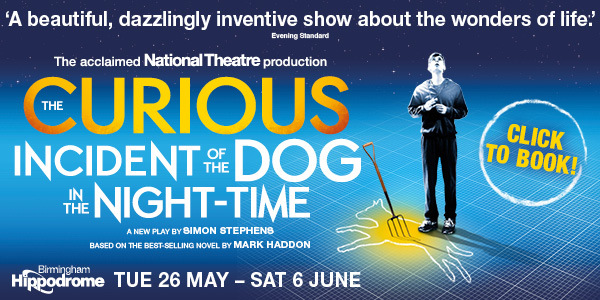 Hopes, dreams and tickets (from £22.50): here. We are a city enthralled by gin. Fitting, then, that Brum's gin master, Carl Hawkins, has got together with Loki and designed a juniper-charged set of courses with Mother's Ruin at their centre. 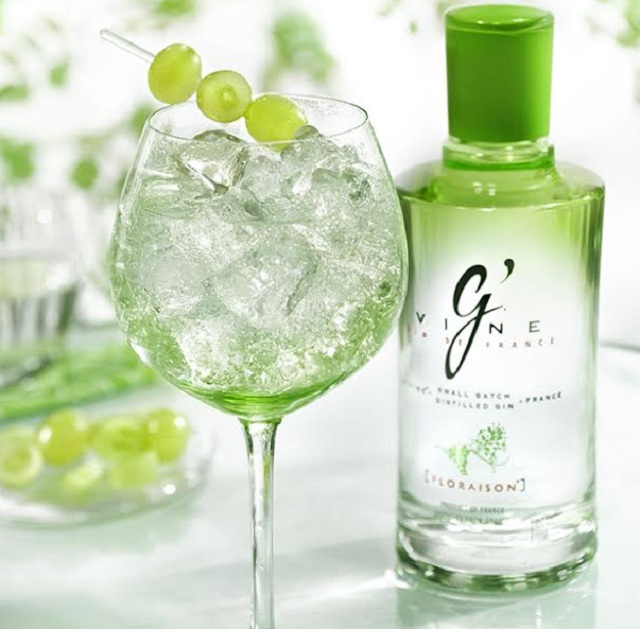 The Enthusiast's Course includes six varied gins, jazzed up with four tonics (we're not talking Schweppes, dah-ling) and an array of garnishes to enhance and debate; we're still trying to decide how we feel about the pickled grapes Carl makes specially for the 90 minute experience. Those on the Connoisseur's Course should expect an even higher-end and more detailed journey through the flavour spectrums and botanicals which tend to feature in gin. Enthusiasts pay £25, while it's £40 for you connoisseurs. Tickets (which do have a habit of selling out) here. Spring is sprung, and we’re teetering on the brink of barbecue season. Time for a gritty Irish alcoholism drama! 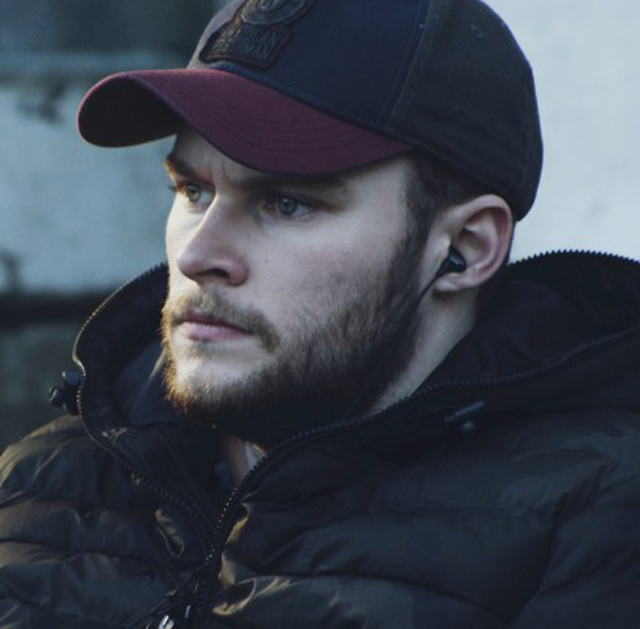 Wait, come back – there’s good stuff here, and you’ll struggle to find a better-acted film this year. Toni Collette – yes, the Muriel’s Wedding lady – gives a phenomenal performance as hopelessly alcoholic single mother, and Jack ‘Transformers 4’ Reynor is arguably even better as her son, struggling to keep his excuse for a family functioning. This is sombre material that won’t have you tap-dancing your way home, but a total lack of sentimentality means that when the tears come, they come hard. Also worth a look is fun horror remake The Town That Dreaded Sundown, which manages to combine a clever meta spin with solid shocks. Last time we had a dish simply called "Lemon" it was at a "dinner party" thrown by friends in the first year of university and let's just say it was a very accurate description of what was served. Fortunately the newly formed kitchen team at the Edgbaston, considered to be among Brum's best cocktail bars, have a little more up their sleeve than a halved citrus fruit served with a teaspoon. The danger, for the Edgbaston, was always that its food offering would struggle to play anything but second fiddle to the staggering mixology. Not a bit of it. 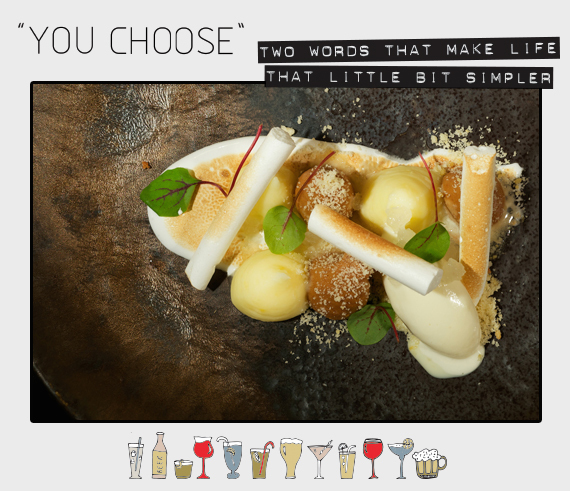 This is inevitably sophisticated dining, but with a perfect smattering of playfulness and taste that'll wallop you from cheek to cheek and create grin-slathered talking points throughout the six course taster menu (£65). A roll of the dice would be an apt way to pick the highlight of the meal, but if pushed it's the cylindrically meringued dessert with pine nuts and lemon nitro, pictured. Even the most ardent of non-lemon fans were left speechless. This is a healthy warning shot fired across the bow of the city's fine-dining scene: Play it safe and the Edgbaston will hunt you down. Not literally. We don't think. Variety is the spice of life, said some show-off who isn't as cripplingly afraid of change as we are. 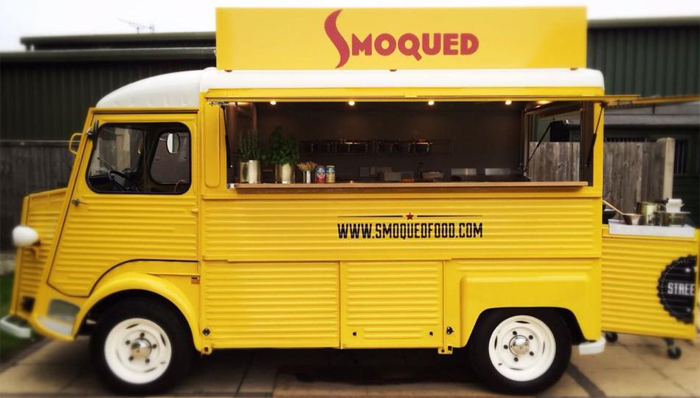 Still, they probably had a point, and that's why we'll be spending our hard-earned coin at Smoqued, a Leicester-based street food van who we've not come across this side of the sunny Midlands. They'll be one of dozens of foodie merchants at this weekend's Spring Market, which lands at the Bond, Digbeth, on Saturday (April 18). They specialise in, you guessed it, smoked food and if this chimichurri monkfish taco is on the menu we'll be getting all elbows-ey about bagging one. Brum legends of the street food circuit Buddha Belly, Original Patty Men, Hungry Toad and the Cake Doctor (who still doesn't have a any medical qualifications to speak of) will also be on hand along with a gargantuan list of other foodie and arty dignitaries. Check them out. The Prince of Wales is celebrating all things sausage and cider with a festival from today until Sunday. Ten snag-based dishes will be available to compliment the good stuff. More here. Visceral dance piece, 5 Soldiers: The Body is the Frontline, comes to The Rep from April 23 until 25. Performed by the international award-winning, Rosie Kay Dance Company, tickets are from £20. Sarehole Mill plays host to folk music, a sub-continent's worth of street food and Two Towers Brewery's finest, from 10.30am until 4pm on Sunday, April 19. Entry is free. The Stratford-upon-Avon Literary Festival takes place from April 25 to May 3 and this year includes events featuring Paul Merton, Douglas Hurd and Dame Antonia Fraser. Tickets are typically from from £10-12.